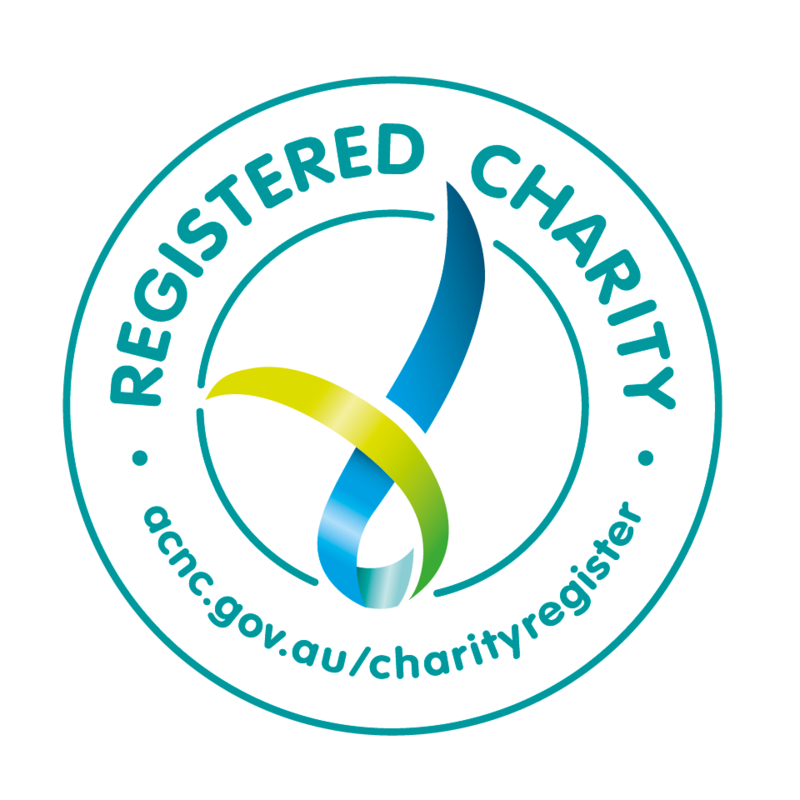 The Australian Pet Welfare Foundation’s (APWF) mission is to improve the health and welfare of pets, and enrich the bond between pets and people. We are committed to getting to zero euthanasia of adoptable and treatable animals in Australia in the next 10 years. At present, the number of dogs and cats euthanased is heart-breaking. Heart-breaking also, are the number of human lives devastated by post-traumatic stress as a result of killing treatable cats and dogs. The APWF believes with the right intervention and strategies, most of these animals could be saved. The APWF was founded in 2012 to do just that. Australia has turned the corner. The largest welfare agency in Australia, the RSPCA has halved its euthanasia rate for dogs and cats in the last 4 years, and is in striking distance of zero euthanasia of adoptable and treatable dogs – a euthanasia rate of 10% or less. The top third of Victorian pounds have achieved it for dogs. However, the worst pounds kill up to 55% of dogs and 85-95% of cats. You can help change these statistics. The Foundation works with shelters, pounds, governments and local communities to provide evidenced-based strategies that save the lives of dogs and cats. Scientific research will provide the information and tools needed to achieve zero euthanasia of adoptable and treatable dogs and cats in Australia in the next 10 years. The APWF also funds studies to find better treatments for illnesses that afflict our much-loved companions. The pets in our community need your help to live long and healthier lives. Helping pets also means helping people. The APWF funds studies which enrich human lives through pets. Studies involve collaborations with welfare agencies such as the RSPCA and the Cat Haven, and leading institutions such as Melbourne University, Sydney University, Queensland University, Murdoch University and Adelaide University. Our focus over the last two years has been on reducing euthanasia of adoptable and treatable animals, because this is where we can save most lives. There are alternatives to killing these animals, and the APWF is committed to paving the way with research-based solutions to achieve zero euthanasia of all adoptable and treatable dogs and cats within 10 years. With your tax-deductible donations, the APWF is able to fund research that provides solutions to shelters, pounds, governments and communities to reduce the number of dogs and cats euthanased each day. When multiple strategies are implemented, they can have a profound effect reducing unnecessary euthanasia. Approximately 210,000 dogs and 163,000 cats enter shelters and pounds each year in Australia, and of those, 21% of dogs and 56% of cats are euthanased. Most dogs entering shelters and pounds are between 6 months and 3 years of age. Only 10-25% are puppies. Dogs either become stray or are relinquished, mostly for owner-related reasons such as scarcity of pet-friendly rental accommodation or owner ill-health, and a minority for behavioral reasons such as escaping, boisterousness and antisocial behaviour. Over half the dogs that are euthanased, are killed because of behavior problems. In contrast to dogs, half the cats entering shelters are kittens. Approximately 60% of kittens are stray, but socialized to people, and 40% are the result of unwanted litters being born to owned queens. In many council pounds, 80 to 95% of cats are killed, although the majority are adoptable, treatable and able to be released. There is also human cost, and half the people associated with killing adoptable and treatable animals develop post-traumatic stress. This results in mental and physical health issues, substance abuse and even suicide. The staff turn-over rate in shelters parallels the euthanasia rate. The projects funded by APWF focus on reducing intake into shelters and increasing the number of dogs and cats that are successfully adopted. Cats in shelters often experience high levels of stress, which greatly increases their risk of illness and subsequent euthanasia from treatable diseases such as cat flu. This study aims to identify simple strategies that can be used by shelter workers to decrease stress in shelter cats, and therefore increase their health and adoptability. This project is based at the University of Queensland, and is in collaboration with the RSPCA QLD. Behaviour problems adversely affect the bond people have with their pets, and increase the risk of relinquishment to shelters and pounds. Of dogs euthanased in shelters in Australia, 65% are euthanased for behavioural reasons. Separation anxiety is a common cause of behavioral problems in dogs, and typically leads to a range of unwanted behaviours such as continuous barking and destructiveness. This study aims to develop a simple test that can be used in shelters to accurately identify dogs that once adopted, will likely demonstrate behaviors associated with separation anxiety. A recent study found 23% of staff received no training on how to perform behaviour assessments in shelters. Therefore, developing an objective computer-based measurement of anxiety would help to reduce the number of dogs being euthanased due to inaccurate temperament tests. This project aims to develop a video-based test for separation anxiety with computer-based assessment of the results, to provide objective information for shelters regarding the likelihood of separation anxiety affecting a dog after adoption. This would facilitate affected dogs getting appropriate treatment before adoption, and matching the dog to a suitable home to reduce the risk of subsequent relinquishment. This project is based at Melbourne University. An estimated 160,000 cats enter Australian shelters and pounds each year, and approximately 56% of those are euthanased. The key to reducing these numbers is decreasing the number of cats being surrendered and increasing adoption rates. More than half the cats entering shelters and pounds are kittens, and approximately 40% of those are from owned queens. Although over 90% of cats are eventually desexed, less then half are desexed before 12 months of age, and approximately 12-20% have a litter of kittens before desexing. The reasons for these unwanted litters are because owners did not get around to organizing the surgery, they thought the cat was too young, or they thought that having a litter was good for the cat or good for their children. Unfortunately, many of those kittens are euthanased because there are simply not enough homes for them to go to. Cats can be pregnant by 16 weeks of age, and desexing kittens from 8-16 weeks has repeatedly been shown to be safe. Compared to the traditional age of desexing (5-9 months), desexing from 8-16 weeks is also associated with better health and behavior of the cat later in life. This project addresses the high rates of euthanasia in cats and kittens in three ways. Firstly, it seeks to understand the resistance by veterinarians and nursing staff to performing early age desexing as a measure to reduce unwanted litters. Secondly, researchers will use data from the Cat Haven shelter in Perth, WA to determine the type of cat being surrendered and adopted, the demographics of those surrendering and adopting them. The knowledge gained from these two aims will assist in preparation of targeted education campaigns for pet owners and veterinarians to increase early desexing, and to develop strategies to improve services to increase adoption rates and better outcomes for cats. This study is based at Murdoch University, and is in collaboration with the Cat Haven, WA. Genetic basis of separation-related distress in Labradors. Separation anxiety is one of the most common behavioral problems in dogs that leads to relinquishment and euthanasia because of nuisance barking, howling, attempted escapes and property damage. Labradors are a popular breed, and are at increased risk of separation anxiety. If at-risk dogs could be identified early, and provided with early behavioural management that could delay, or even prevent the onset of the disorder, it would save lives. Canine separation-related distress likely has a genetic basis, and identifying the genes involved provides opportunities for early identification and treatment of affected dogs. In addition, this information will facilitate the development of selective breeding strategies, and the development of specific medications to alleviate the symptoms. This could break the cycle of affected dogs being relinquished to shelters, and increase the live release rate of affected dogs. This is a project based at the University of Sydney. Many apparently healthy kittens have heart murmurs, most of which are innocent, and in time disappear. However most of these kittens are euthanased in shelters because shelter veterinarians cannot easily distinguish these kittens from other kittens with pathologic heart murmurs. Currently, there are no simple methods to determine which murmurs are innocent, and which murmurs later will affect the cat’s health. Therefore, kittens with murmurs are usually euthanased. This study aims to identify guidelines for shelter veterinarians to identify kittens with murmurs who have low risk of subsequent health problems and can be adopted. This will have a big impact on saving many kittens lives in both shelters and veterinary practices. Online relinquishment of dogs and cats: what can we learn? Although we have some idea of the numbers of dogs and cats relinquished to shelters and pounds, there are currently no estimates for the numbers relinquished online, or where they are coming from. This study aims to determine the numbers of cats and dogs relinquished online, to produce demographic data, and to determine the reasons behind this type of pet relinquishment. This information can be used to design evidence-based interventions to more effectively reduce the numbers of pets who find themselves in unsuitable homes, and are subsequently relinquished. This is a study based at the University of Adelaide. The Foundation researches “the why” in pet illnesses, diseases and behaviors that lead to abandonment and euthanasia. Please help us get to zero euthanasia of adoptable and treatable pets in the next 10 years. Helping pets means helping people. We’re proud to have such a dedicated Board of Directors dedicated to our cause. 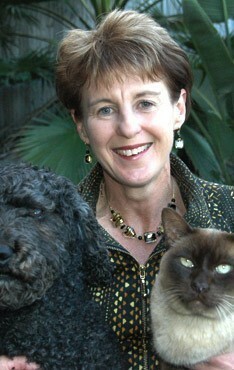 Dr Jacquie Rand is an animal lover and long-time pet owner. She graduated from Melbourne University’s Bachelor of Veterinary Science program in 1975, and worked in veterinary practice for 8 years. She then spent 4 years doing a combined residency and doctorate program at the Ontario Veterinary College, Canada, followed by 3 years as a senior clinician at the University of Zurich, Switzerland. 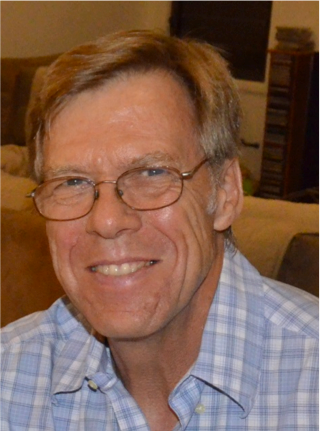 Dr Rand is a registered specialist in small animal internal medicine in Australia, and a Diplomat of the American College of Veterinary Internal Medicine. In 1990 she returned to Australia to take up a senior academic position at the University of Queensland, and was appointed Professor of Companion Animal Health in 2001, and retired in 2015. Dr Rand has been actively researching cat and dog nutrition and diabetes for more than 20 years, authoring over 100 journal articles, 115 abstracts, and 42 book chapters in international texts. She is the editor and major author of three books published by Elsevier and Wiley-Blackwell. Key contributions include reducing the percentage of diabetic cats requiring life-long insulin administration from 85% to less than 10% through treatment with a long-acting insulin analogue and an ultra-low carbohydrate diet. These research findings have been implemented world-wide, and are the greatest single advance in management of feline diabetes in over 25 years. Dr Rand’s research is aimed at improving the health and welfare of companion animals, and increasing the contribution they make to our lives. Currently, she is also involved in research programs in shelter medicine aimed at preventing unwanted and problem pets. Dr Helen Swarbrick has shared her house with cats all her life, but loves all animals and is passionate about their welfare. She is the President of Campus Cats NSW (CCNSW), an Australian animal welfare organization and registered charity. Under Dr Swarbrick’s leadership, CCNSW has conducted a highly successful trap-neuter-return (TNR) program for free-living cats on the Kensington campus of the University of New South Wales in Sydney since 2008. During this period, over 125 resident, immigrant, and transient cats and kittens have been managed under the TNR program. The campus cat population currently stands at 15 cats, all of which are desexed, microchipped and fed on a daily basis. Dr Swarbrick is also a Professor of Optometry at the University of New South Wales, and has significant experience with scientific research methodology, successful research grant applications, and presentation of scientific findings in research papers and scientific conferences around the world. These generic skills in science and communication compliment the practical animal management skills Dr Swarbrick has acquired through her leadership of the urban stray cat management program on her campus. Dr Swarbrick presented the interim results of the CCNSW program at the G2Z conference in Surfers Paradise in 2013, and has recently submitted a paper for publication in the journal Animals, presenting a detailed analysis of outcomes of this successful TNR program. Her current goal is to apply her knowledge and skills to developing effective community cat management programs based on TNR in Sydney and Brisbane, in collaboration with the Australian Pet Welfare Foundation. Anna specialises in solving complex people problems and shaping mindsets, decisions and behaviours. Having always been fascinated by people and how we work (both together and individually), she uses a combination of neuroscience, neuropsychology and behavioural economics in her work as a strategic advisor to boards, CEOs and leaders of large corporates and government agencies. Recently, she has also been working internationally on the impact of digitisation on decision-making and digital ethics (an area that combines her formal qualifications in law, psychology and political science). Anna is passionate about helping leaders of all ages build their skills in tackling complex challenges and maximising their impact. She has co-authored brain-based programs and trainings focused on building personal leadership mastery, including Character-Based Leadership, The Hero’s Journey and Transformational Mastery. Anna also coaches leaders in critical thinking, influence, transformational project management, effective organisational change, stakeholder engagement and strategic communications. She also specialises in ‘visual strategy’, and has co-authored a program on using visual design to drive better decision-making and stakeholder engagement. An experienced facilitator, Anna speaks internationally (for small and large audiences) on topics ranging from the biology of leadership to digital ethics. She is also co-author of Behavioral Economics for Business (launched in 2016 at the World Bank). She is the owner of two rescue cats, Jasper and Dash. Tom Schults has extensive experience in managerial positions in the automotive Industry in the Netherlands and Australia. In 1994, he started his own Company, Mobicon Systems, which manufactures container lifting equipment for the transport industry and importers and exporters. He was a finalist in the Northern Region (Qld and NT) Entrepreneur of the Year, and a winner of the BHP Steel Award. Including the Australian Pet Welfare Foundation in your will is a powerful way to help save lives and leave a lasting legacy. A bequest today will save many lives tomorrow. For more information, please contact us on: info@petwelfare.org.au or call 0412 552 582. We urgently need your support to get to zero euthanasia of adoptable and treatable pets in the next 10 years.